When it comes to makeup, good enough just isn’t good enough. You want the products that will leave you looking flawless all day long, without necessarily taking forever to apply. Of course, we all know that early morning struggle to get out of bed and paint up the perfect face: don’t let it all be for naught! Sometimes, even more than the product you choose, the tools you use can make all the difference. Here are some of the brushes available to make your blush pop and leave your foundation flawless. The Alur Signature Kabuki Stippling Brush is fortified with an antibacterial formula that keeps the brush clean and germ-free for a healthier makeup routine. You’ll feel the difference when you use it and see how clean it feels; plus, the super soft bristles have a great, light, feeling that can’t be beat. It applies both liquid and powder with equal efficiency, and your makeup will go on looking smooth and flawless. It doesn’t soak up the makeup like some other brushes, which saves you money because you won’t be losing makeup in the bristles, nevermind the time you’ll save my not having to wash the brush off. It’s great for professionals and amateurs alike! 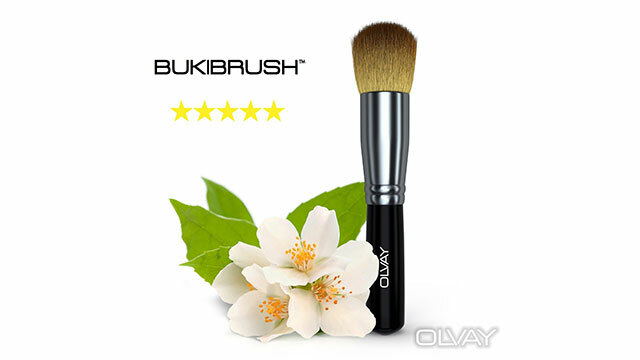 The Olvay Kabuki Brush is one that you can feel really good about using: it’s absolutely cruelty-free, never tested on animals, and is made in USA. Its extremely soft bristles make it a great brush for anyone who has sensitive skin, or just about anyone – who doesn’t like the silky, feathery feeling of a good brush against her cheeks? 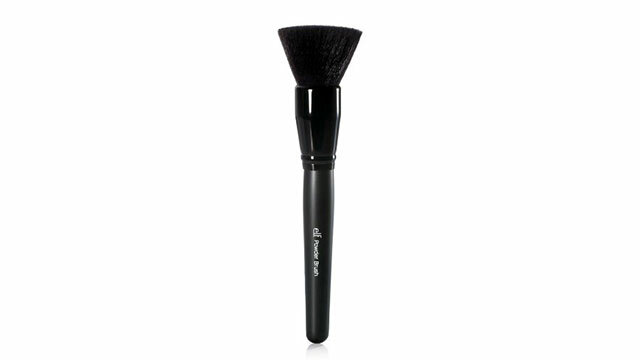 It’s a great powder brush that doesn’t drip or drop powder, so you can use it for blush or as a highlighter easily. The small size also makes it a great choice for anyone who travels a lot, or if you want to be able to bring it to work with you. It’s the ideal brush for doing your makeup on the fly, anytime and anyplace. And, if you are worried about it shedding when kept in your purse, have no fear; no shedding with this brush! Despite it’s hi-tech name, the Sigma F80 is actually a great brush for any user, from the pro’s to the novices. It’s incredibly soft bristles make it a pleasure to use, and it’s so soft that it feels more like soft breeze against your cheek than a makeup brush. The bristles are set flat, which makes it one of the easiest ways to get a natural makeup look in just a little bit of time. The brush density also makes it a great way to get a smooth foundation, and it’s equally as effective at applying blush. Done right, this brush can give you an all-natural effect that will look like you’re not wearing any makeup at all! For how full and fine the Beauty Junkees Angled Kabuki Makup Brush is, you’d think it would shed like a beast, but it’s actually great at retaining its bristles. 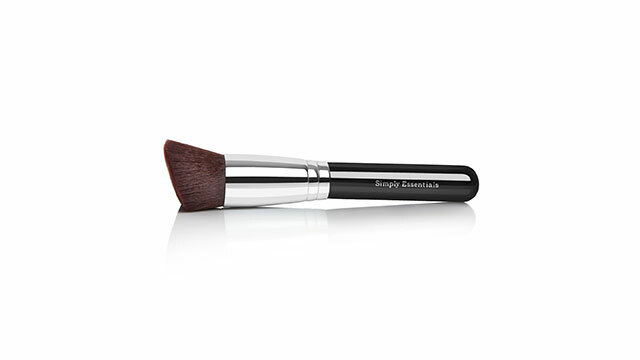 It’s perfect for any manner of makeup styling from contouring to bronzing to highlighting to shading; and of course it’s a dream to apply blush with this silky-soft and thick brush. 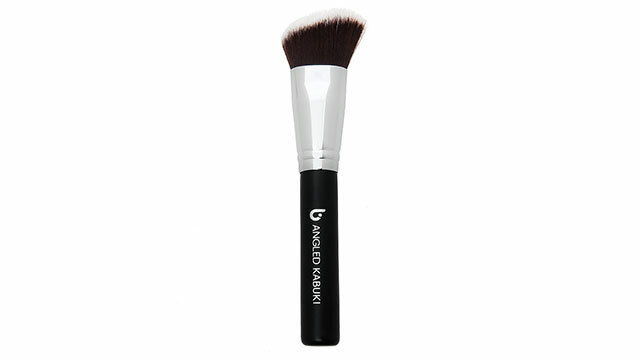 Make your cheekbones stand out, or apply foundation to your eyelids easily; because of it’s density, the Angled Kabuki Makeup Brush is great for all your makeup needs. If you want a makeup brush that could be left in the desert for a year and still work good as new, the Mary Kay Liquid Foundation Makeup Brush is the one for you. It has almost no shedding and could last you a long, long time. It’s purely for liquid foundation, and it’s one of the best in the business at giving you a long-lasting, smooth application that won’t quit throughout your hectic day. Blending is a breeze and it’s soft and gentle enough to use around your eyes. While it’s not the best brush for powders, the Real Techniques Expert Face Brush is one of the best liquid foundation brushes you can get. Its compact size makes it easy to apply liquid foundation around your nose or eyes, which can be hard to do with larger brushes. Its density allows you to maximize your makeup without losing too much in the application process, but it’s not so dense that you have difficulty using it. It’s great tool for anyone, but cream foundations and powders simply don’t work as well as liquid foundation. That being said, it does a great job at giving you an even, flawless application. The EcoTools Flat Foundation Brush doesn’t quite live up to its name, because it’s frankly just not big enough to apply foundation efficiently. It will apply foundation, but it’ll take a while. Still, its size makes it a great brush for touch-ups and it’s compact enough to easily travel with. 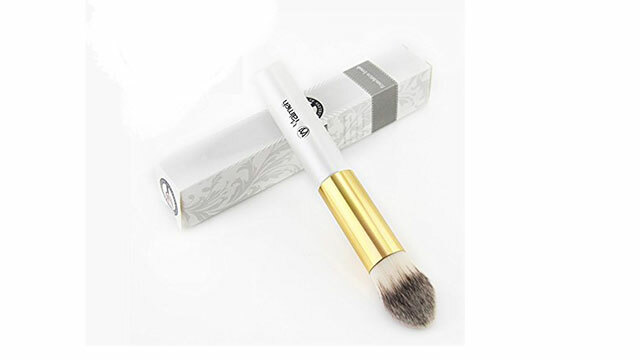 It has super fine and soft bristles and it’s perfect for applying make-up in tricky places like your nose and eyes with precision and great blending. It’s also very easy to clean this brush off after using it. It doesn’t shed easily and will last you a long time no matter how often you use or clean it. If you’re looking for a budget-friendly alternative to more expensive brushes, e.l.f is the way to go. It’s top quality for a low price; while it’s not the tightest brush in the list, and does tend to shed, it has a large enough brush that blending is quick and easy. This is the ideal brush for those mornings before work when you slept in a little too late. The e.l.f. 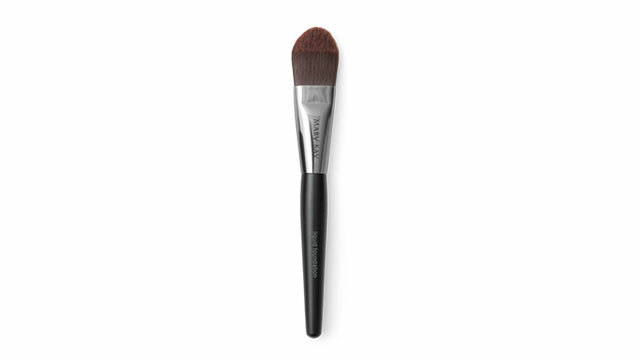 Studio Powder Brush is most impressive when paired with a loose powder. 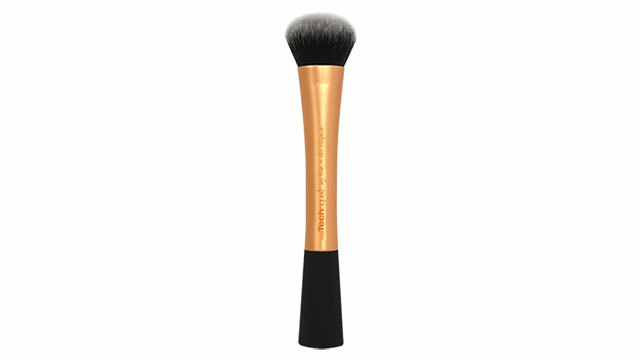 If you need a brush that can tackle anything, the Kabuki Brush by Simply Essentials is a must-have for your makeup kit. It’s great on powder, cream, and liquids. It has thick bristles that are still luxuriously soft, and it’s real standout feature is a long handle that gives you ultimate maneuverability and grace. Plus, no clumping! Because of its versatility, it far outperforms similar thick-bristled models which just can’t handle all types of makeup. It’s a one-stop-shop! 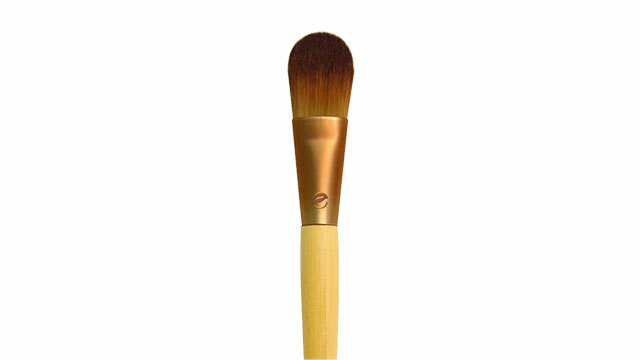 The Yalmeh Foundation Brush is one of the softest and most delicate brushes available today. Even though it feels almost too light to be effective, it’s actually great for applying foundation and blending. It’s sleek, compact size also makes it a great highlighting brush, and despite its fragile feel, it’ll last a long time in your makeup bag.